South-Tek Systems, leading engineer and manufacturer of nitrogen generators, announces the recent hire of Donna Aiello to act as Office and Accounting Assistant in the Wilmington, North Carolina South-Tek Systems headquarters. Wilmington, N.C., September 2011 -- South-Tek Systems, a leading developer of nitrogen generator systems, is pleased to announce the addition of Donna Aiello to the Office Administration team at the South-Tek System headquarters in Wilmington, N.C. Nitrogen generators from South-Tek Systems have worldwide distribution for a wide range of applications and the addition of Ms. Aiello to the office team will help streamline the order fulfillment processes as well as assist in shipping, invoicing, and Acccounts Receiveable functions. Ms. Aiello arrives at South-Tek Systems after a ten year career as Office Manager with her previous employer where she also headed Accounts Payable/Receivable, Customer Service, and Shipping Supervision of both outgoing and incoming orders, importing goods including customs and duty monitoring, purchase orders and sales orders. Ms. Aiello's organization, work background, and professional communication skills will prove to be an asset to South-Tek Systems. "We are excited about Donna joining our team here at South-Tek Systems," Military/Industrial Sales Manager Charles Metzler states. "As our business develops and expands, it's more important than ever to streamline our internal organization. Donna has the experience we need to help us move to the next level of consistent and systematic business operations." South-Tek Systems was founded in 1997 and has grown from a three person operation to over a 30 person operation with on-site manufacturing facilities for making nitrogen generators of varying capacities and outputs. South-Tek has developed trademark and registered brands for their specific product markets. Brands include the TireBlast® Nitrogen Tire Filling System, the BeerBlast® Mixed Beer Gas Dispense System, the MICBlast™ Corrosion Inhibiting System, and the N2-GEN® Compact Nitrogen Generator. Product distribution is worldwide across a wide range of commercial, industrial, and military applications. Many industries utilize Nitrogen gas for applications ranging from corrosion prevention in power plants to electronics manufacturing, food packaging, and wine making. Nitrogen gas provides many benefits in eliminating oxidation or producing a dry and sterile environment, but the means by which Nitrogen gas is obtained and applied can vary, resulting in different outcomes on business practices and bottom lines. Traditionally, N2 gas has been obtained through gas company contracts and involves delivery, storage, and switching out of high pressure cylinders or bulk liquid nitrogen delivery. South-Tek Systems is excited to be able to offer an alternative to these costly contracts and potentially unreliable deliveries. They specialize in designing and manufacturing Nitrogen Generator Systems that can be installed at the point of process at your facility and set to generate high purity N2 gas on-demand and as-needed. Nitrogen Generators are a safe, reliable, and cost efficient alternative to high pressure cylinders. The proven benefits and and efficacy of Nitrogen gas coupled with the convenience and cost savings of a Nitrogen Generator installed at the facility could mean a boost to the efficiency of production, the quality of the product, and the company's bottom line. A rapid return on investment (ROI) means greater savings over the long term while the convenient and low maintenance qualities of a Nitrogen Generator mean greater productivity and reliability. Contact South-Tek Systems to learn more about their leading Nitrogen Generator Systems: 888-526-6284. N2 gas is used for all sorts of industrial, manufacturing, processing, production, and operating applications across a wide field of industries. Nitrogen is used for the purposes of purging, inerting, corrosion prevention, cleaning and sterilizing, humidity control and more. N2 gas is a clean, dry, inert gas that makes up ~79% of the air we breathe. Applying Nitrogen gas to a processing or production application accomplishes any number of benefits depending on what is needed. However, many companies are stuck with an old way of supplying N2 gas for their purposes - relying on a gas company to deliver high pressure cylinders that need to be stored, changed out when empty, picked up and delivered again. A more safe, efficient, and cost effective method of supplying Nitrogen gas is to invest in a Nitrogen Generator installed on-site (there are also compact, portable Nitrogen Generators available for more mobile applications, see N2-GEN). A Nitrogen Generator separates the N2 molecules from the air through a simple PSA or Membrane Technology. That N2 gas is stored in an attached tank and is ready for use on-site and on-demand. Cost - A Nitrogen Generator is an investment that, once paid off, can potentially save thousands each month based on what a company currently pays in monthly gas charges, tank leasing, and contracts with a gas supplier. Reliability - Eliminate the risk of running out of gas an an inopportune time. A Nitrogen Generator is always equipped to create high purity N2 gas simply from the air surrounding it. Safety -A Nitrogen Generator is a safe alternative to handling high pressure cylinders. It uses simple mechanics, is easy to use, requires low maintenance, and is safe to operate. Flexibility -A company's output requirements may dictate the size and style Nitrogen Generator needed but the equipment is flexible and efficient, producing N2 gas as needed. Return on Investment - How much, and within what time period, a Nitrogen Generator will positively impact your bottom line will likely be the key to making your decision. South-Tek Systems is a leading engineer and manufacturer of Nitrogen Generators, supplying systems to industries and companies worldwide. Contact the experts at South-Tek to learn more about how a Nitrogen Generator can improve your business operations and your bottom line: 888-526-6284. The GSA contract for South-Tek Systems was approved for renewal through 2016. South-Tek continues to be an authorized government supplier of nitrogen generators whose products are used in military operations in the U.S. and abroad. South-Tek Systems' nitrogen generators help fulfill the GSA mission of excellence in the business of government through stewardship, superior workplace, best value, and innovation. Wilmington, N.C., May 11, 2011 -- South-Tek Systems, a leading engineer and manufacturer of nitrogen generator systems, is proud to announce that their GSA contract has been renewed through 2016. They continue to be an authorized government supplier of nitrogen generators, making their products available to military and government agencies in need of safe, efficient, low cost, high purity N2 gas on-site and on-demand. The GSA is the U.S. Government Services Agency whose mission is to provide authorized government agencies with solutions to help improve efficiency, sustainability, and transparency in operations. They offer a range of products, services and real estate resources as well as policies and regulations to streamline management strategies. The GSA contracts with businesses who provide the products and services GSA customers need and delivering trust that those businesses have been through a rigorous approval process. South-Tek Systems has been a GSA contract holder since 2005 and is proud to have had their contract renewed for another 5 years. Through the GSA, South-Tek Systems has been able to outfit military operations in the states and overseas with nitrogen generating systems specific to the applications required of each operation. From high pressure systems, to large portable systems, to compact and portable nitrogen generators, South-Tek Systems helps assess the N2 output required for an application and designs the optimum system to meet those requirements. In addition to the GSA contract, South-Tek Systems is also a certified supplier of nitrogen generators at DOD EMALL, an e-commerce component of the Department of Defense exclusively for military and government personnel. Their N2GEN Series compact nitrogen generator was chosen to go through the military Expedited Modernization Initiative Procedure (EMIP) review process and completed its review in 2010. The N2GEN was reviewed for its improvements in safety and logistics for warfighters who require inert Nitrogen gas for field or facility maintenance. As a further testament to South-Tek System's prominence in the field of nitrogen generating systems, they have been cited in the U.S. Department of Energy Report entitled “Hardening and Resiliency: U.S. Energy Industry Response to Recent Hurricane Seasons” which can be found here: http://www.oe.netl.doe.gov/docs/HR-Report-final-081710.pdf. 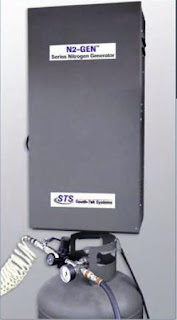 For more information about South-Tek Systems and the various applications that benefit from their nitrogen generators, visit http://www.SouthTekSystems.com and http://www.SouthTekTalk.com. 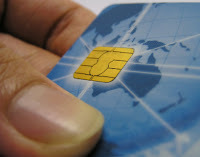 Nanolabs are labs specifically designed for engineers and researchers to create silicon chips or integrated circuits (IC's) which are used in computers, electronics, monitors, cell phones, and other hand held mobile devices. Nanolabs also provide an ideal environment for designing MEMS (MicroElectroMechanical Systems), a micro technology used in the medical field, energy and environmental technology, diagnostic devices, image scanning and processing, and more. MEMS add a mechanical function to the integrated circuits such as imaging and telescopic capabilities. 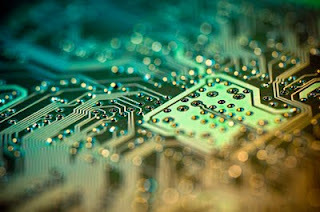 Nanolabs require a very precise, specific, controlled atmosphere for producing IC's and MEMS. Due to the microscopic size of the technology being used and created, any foreign or unwanted contaminates, including organic contaminates, can severely lessen the success and quality of the product. In addition, the presence of oxygen can reduce the efficacy of bonding, coating, etching, or cleaning. 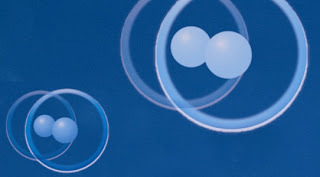 Nitrogen gas is used in Nanolabs to help eliminate contaminates and reduce or eliminate oxygen in the cleanroom equipment used in manufacturing the IC's and MEMS. Nitrogen is a clean, dry, inert gas that is found naturally in the air we breathe. A Nitrogen Generator can separate N2 particles from the air and store them in an attached storage tank for use as needed. This high purity Nitrogen can then be used for purging in order to displace the presence of oxygen. 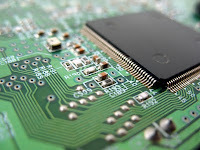 Nanotechnology is prevalent in modern day technology and as our demand for mobile devices continues to grow, so does the field of nanotechnology and the need for Nanolabs. Nitrogen has been proven as a effective, safe, and reliable solution for purging and sanitizing. A Nitrogen Generator makes access to high purity N2 gas easier and less expensive compared to delivery of high pressure cylinders. 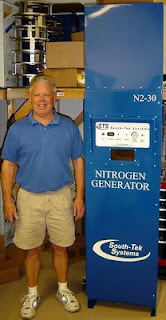 South-Tek Systems is a leading engineer and manufacturer of Nitrogen Generators. They design models in varying size, pressure, and capacity using either PSA or Membrane Technology. 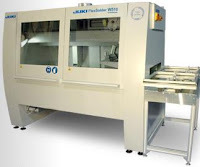 Contact the experts at South-Tek Systems to see which of their products is ideal for use in your Nanolab: 888-526-6284. Nitrogen is widely used in the food packaging industry to help preserve the taste, texture, quality, and shelf life of the packaged food. By adding Nitrogen into the packaging just before it's sealed, oxygen is forced out so it can't react with the product to cause it to go soggy or turn bad before it's due. We've talked a lot about Food Packaging with Nitrogen here in previous posts - See: Keeping Food Fresh with a Nitrogen Generator, Modified Atmosphere Packaging (MAP), and N2 Packaging Using a Nitrogen Generator. What Is Vertical Form Fill? 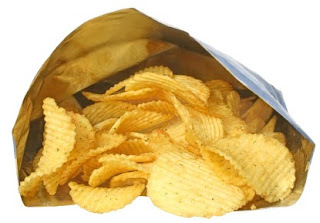 Vertical Form Fill is a popular practice in food packaging. These Vertical Form Fill machines work to take a flat section of plastic film and create a bag out of it while also filling it with product (dry or liquid) and sealing it off. Nitrogen gas injection can be incorporated into Vertical Form Fill so that N2 gas is forced into the package just before it is sealed. This food packaging process results in fresher food with better taste and texture. It's an automated, assembly-line system that also helps reduce production costs as well as wholesale and retail prices of the product. South-Tek Systems designs and manufactures Nitrogen Generator units ideal for use in food packaging and particularly with Vertical Form Fill. A Nitrogen Generator unit eliminates the need for handling high pressure N2 gas tanks and for dealing with gas company contracts and deliveries. 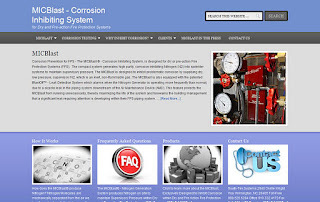 It is a safe, reliable, easy-to-use, and cost effective alternative to high pressure tanks. Contact South-Tek Systems to learn more about how a Nitrogen Generator can improve your Vertical Form Fill packaging process: 888-526-6284.